Sage knows too much about different anime and manga. Probably knows more then she should. Ok so I know not a lot of people know about this anime, which is sad cause its amazing, so I thought I'd explain it more. 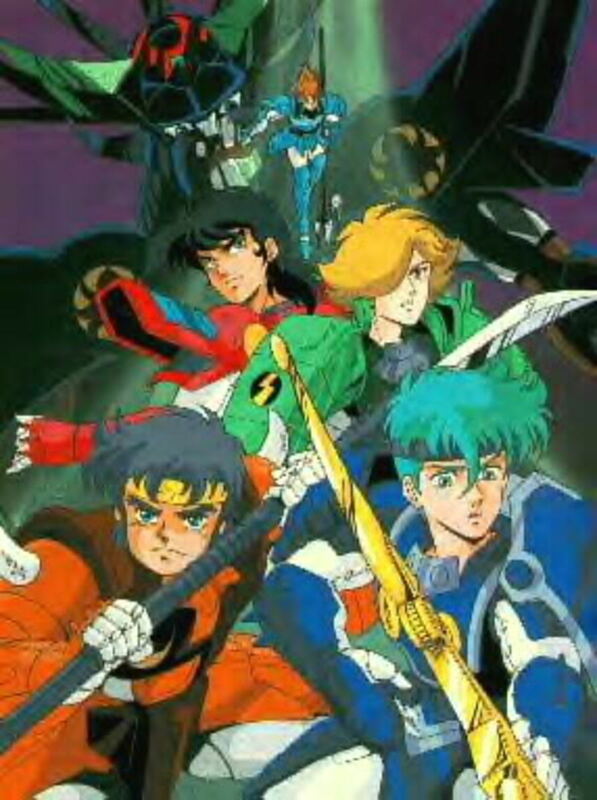 Ronin Warriors (known as Yoroiden Samurai Troopers) is an anime about 5 young warriors with mystical armor that must save the world from evil. Yeah it may sound like other animes, but the evil is a mysterious thousand year old demon lord named Talpa and his Dark Warlords. He pretty much lasts the whole series. Now I'll go into some info about the main characters (good and evil) as well as the side characters. No filler characters though, they weren't around long enough. Lets start with the 5 main heores, the Ronins. Their armors have different elements and virtues, as wella s different weapons and moves. These armors are used for good but if the owners heart and soul goes in the dark, the armor can be used for evil. 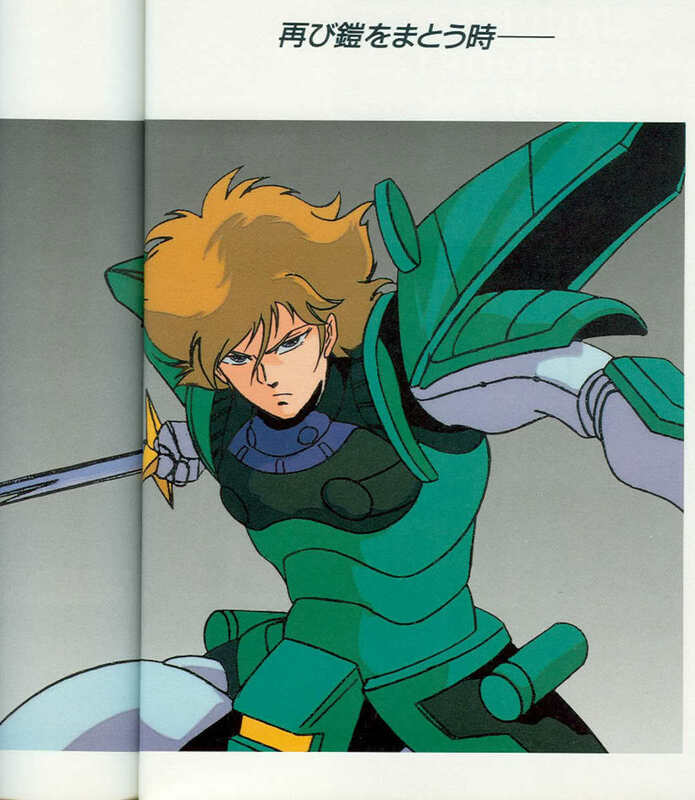 Now onto the different armor bearers, starting with Ryo. 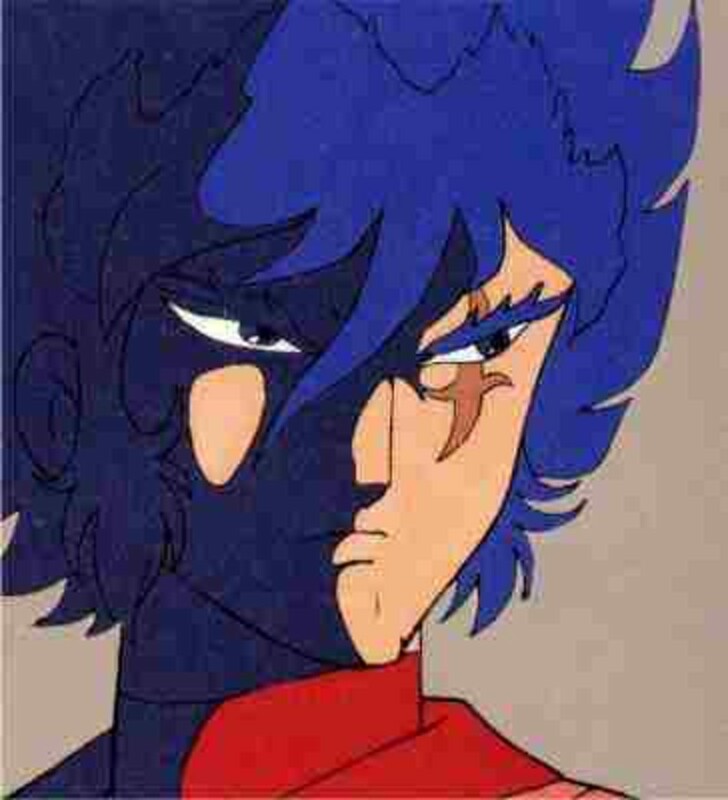 Ryo Sanada is the unofficial leader of the Ronin warriors, and the first to be introduced in the series. He tends to charge ahead into battle without thinking but alas has a big heart and cares for his friends. Very little is known about Ryo's family and past. His mother died when he was only a baby and his father is a wildlife photographer often out on assisgnment. Ryo wears the armor of Wildfire, his Virtue is well virtue, his element is fire and his weapons are a twin pair of katanas. His final move is 'Flare Up Now'. When Ryo gathers the virtues from the 4 other ronin armors or the Dark Warlords, this forms the White Inferno Armor. Ryo also has a pet tiger named White Blaze. When RYo transforms into the Inferno armor, White Blaze also transforms into his alter-ego Black Blaze. He is voiced by Matt HIll in the dub. 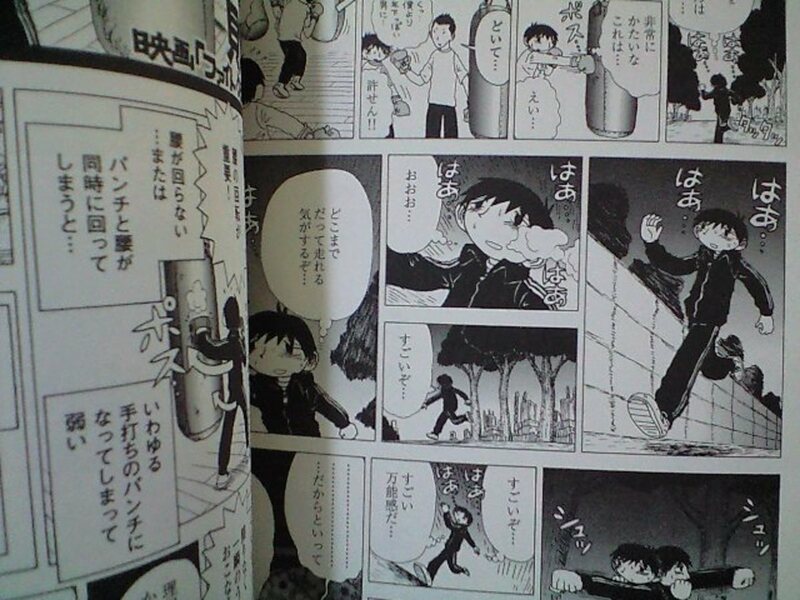 Kento Rei Fang is the strongest of the group, able to stop speeding trucks without his armor. Like Ryo, he has a short temper and is quick to anger when provoked, but has a huge heart and is a loyal friend. He bears the armor of Hardrock, and it is said to be the most violent of the armors. His virtue is Justice, his weapon is a combination of a three section staff and naginata. His attack is 'Iron Rock Crusher', which causes an earthquake like disruption around him. Kento has the largest family out of all the ronins, and is the oldest of 5 siblings. He has two sisters and two brothers. His parents own a successful restaurant and are quite wealthy, though Kento doesn't think being rich is a big deal. He is best friends with Cye. 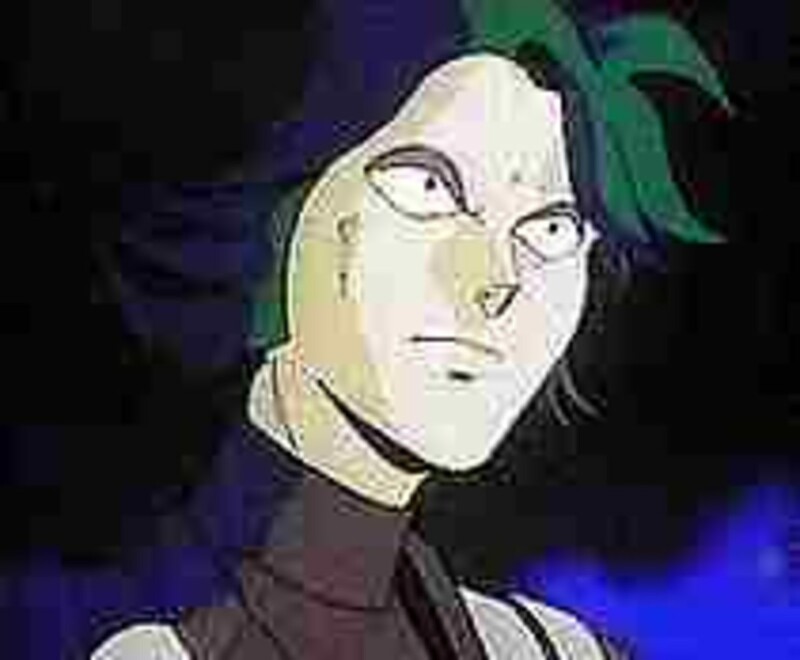 Kento is voiced by Jason-Gray Stanford in the dub. Cye Mouri is the oldest member of the ronins and is usually the calmest. For some reason he has an Australian accent in the dub. Cye bears the armor of Torrent, the element being water. His virtue is Trust and his weapon is a trident, whos prongs can close and grab onto enemies. 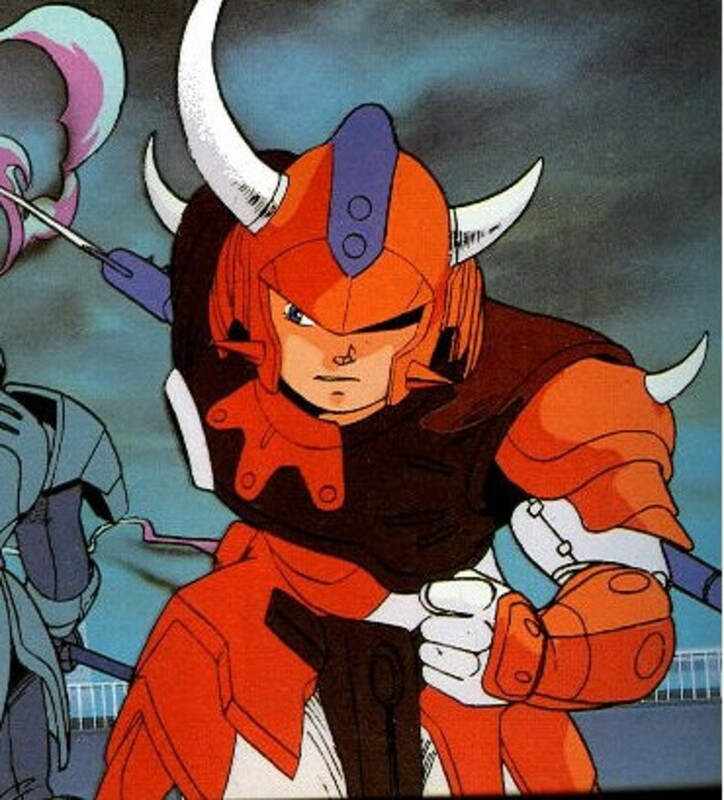 The armor is also equipped with a tanto dagger and a claw-like weapon but he is never seen using either weapons. His attack is 'Super Wave Smasher', which is a powerful burst of water. Cye's father died when he was very young and his mother is a famous potter who is often ill and he has an older sister. The ronins as well as Mia, and Yuli are like family to him and Kento is his best friend (as mentions above). 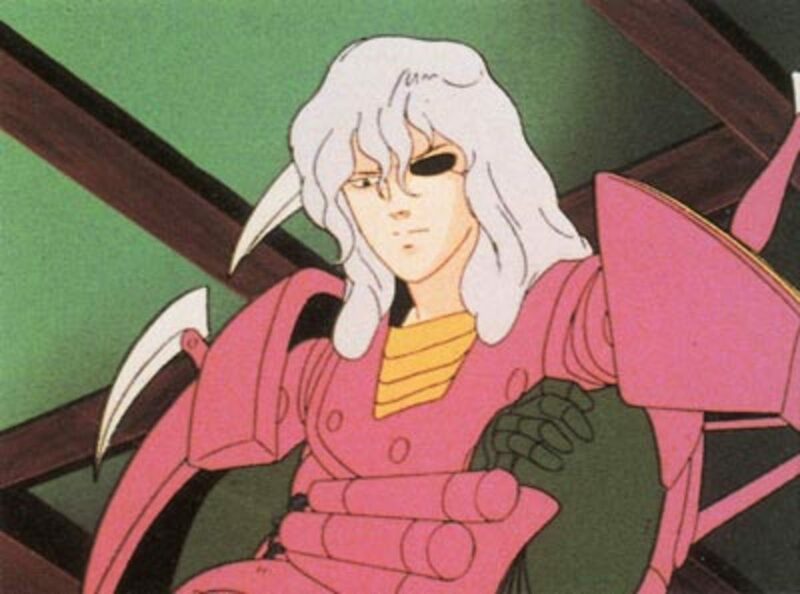 Cye is voiced by Michael Donovan in the dub. Rowen Hashiba is the most intelligent of the group and was described by one of the Dark Warlords as the most cunning and dangerous. For some reason, he has a thick Brooklyn accent in the dub. Rowen bears the armor of Strata. His virtue is Life, and his weapon is a collapsable bow with a quiver that has an unlimited amount of arrows. His attack is 'Arrow Shockwave', which is firing an arrow that energizes to cause a destructive explosion upon impact of the target. Rowen supposedly has an I.Q of 250 and often serves as the voice of reason in the group as a counterbalance to the hotter tempers of Ryo and Kento. His father is a mad scientist and is usually too busy to see his son and his mother is a journalist who travles alot and doesnt see much of her ex and her son, treating them both as friends more then family. 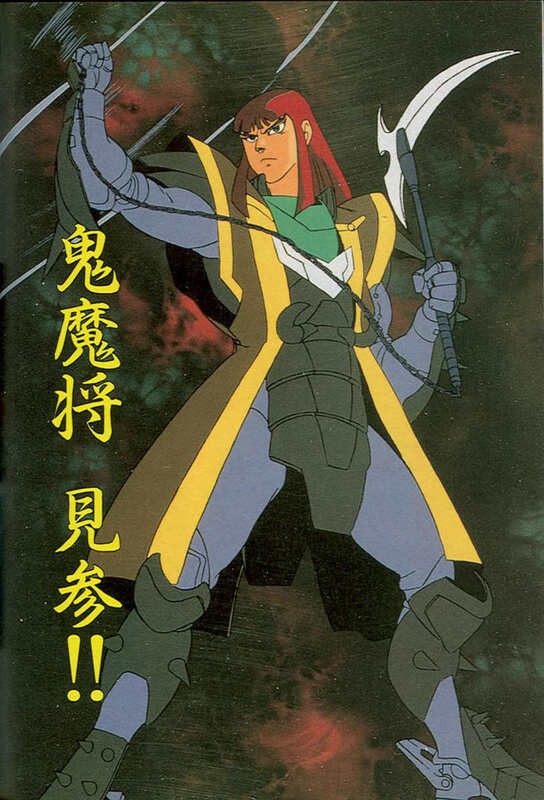 Rowen is voiced by Ward Perry in the dub. Sage Date is considered the most mature and aloof of the group. Sage wears the armor on Halo, his virtue is Wisdom, his element is Light and his weapon is a nodachi. HIs attack is 'Thunderbolt Cut', which inolves him gathering a large amount of energy to his sword , and despite the name, is usually used as a thrust attack. It can also manifest as a burst of energy beams. Sage comes from a very traditional Japanese family, in which the women hold the power. His father is a police officer, and he has a mother, grandmother, grandfather, an older sister and a younger sister. There is an interesting little story about Sage and it seems that he was vice president of the kendo club at his high school. Due to the battle with Talpa in the spring, he did not compete in the kendo tournament. A young man named Shingo (friendly rival)won the tournament and wrote a letter to Sage, saying how they'll meet up hopefully next year. It was in this letter that Rowen and Kento got the idea to cut Sage's hair. Shingo had written that Sage didn't look bad with both eyes showing and asked why he didn't cut his hair. Kento and Rowen chased Sage around with scissors. They didn't read the rest of the letter where Shingo mentioned that all of Sage'd victoried might have been because he looks intimidating with both eyes showing. Sage is voiced by Michael Donovan in the dub. Now for the baddies. 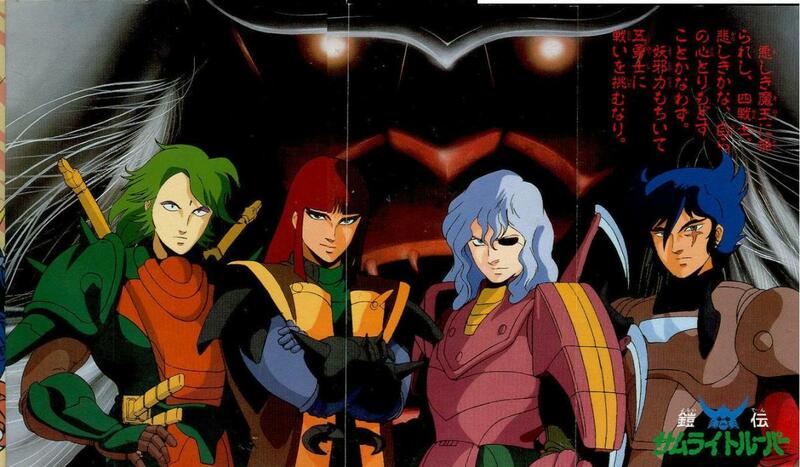 These are the main enemies of the Ronin Warriors, as well as the world. Led by Talpa, his four Dark Warlords go out and try to beat the ronins, but usually fail. Now lets get to know this lovely bunch of enemies. Talpa is the Emperor of the Evil Dynasty. He is an evil spirit who threatened to conquer the Earth years ago, but was defeated by the Ancient, who was the guardian of the mortal world. Talpa's spirit was sent back to the Neather World, his armor remained in the mortal world. Since it couldn't be destroyed, The Ancient cast a powerful spell and split Talpa's armor into 9 different armors with their own separate powers and virtues. Talpa eventually got 4 of the armors back and gave them to 4 humans who became his dark warlords. During the modern age, Talpa takes over the city of Tokyo by capturing the citizens and sends out his Dark Warlords to capture the Ronins. The Ronins eventually make it into Talpas empire, but Talpa absorbed all the armors to get his original armor back. Ryo refused to give in and used the White Inferno to defeat Talpa. Talpa was then presumed dead by the ronins. In the second part of the series, he returns stronger and more determined. He then releases a secret weapon the ronins or the warlords knew about: Lady Kayura, the last of the clan of the ancients who he captured for his own purposes. This time Talpa had his eyes on gaining the White Inferno armor and using its power to destroy the Earth. Eventually, he captured the ronins but they were freed after a sacrifice to save Kayura by Anubis. Even the dark warlords turned on him after finding out they were just pawns to him. The final fight then took place with Ryo possessing Talpa with the Inferno armor, then being destroyed by the Jewel of Life. Anubis, Dark Warlord of Cruelty, is the former leader of the dark warlords and was the most arrogant. HIs armor represents the season of Spring and is infused with the virtue Loyalty. His weapon is a kusari-gama, and his attack is 'Quake With Fear'. For the attack, he sends his chain into the ground, which then bursts out as several more chains. In episode 15, the Ancient helped Anubis see that Talpa was meerly using him for his armor. After the battle with Talpa, he was pressumed dead but appeared again wearing the Ancients clothing. No one trusted him at first, but he still continued to help them in their battle against Talpa, gaining their confidence. 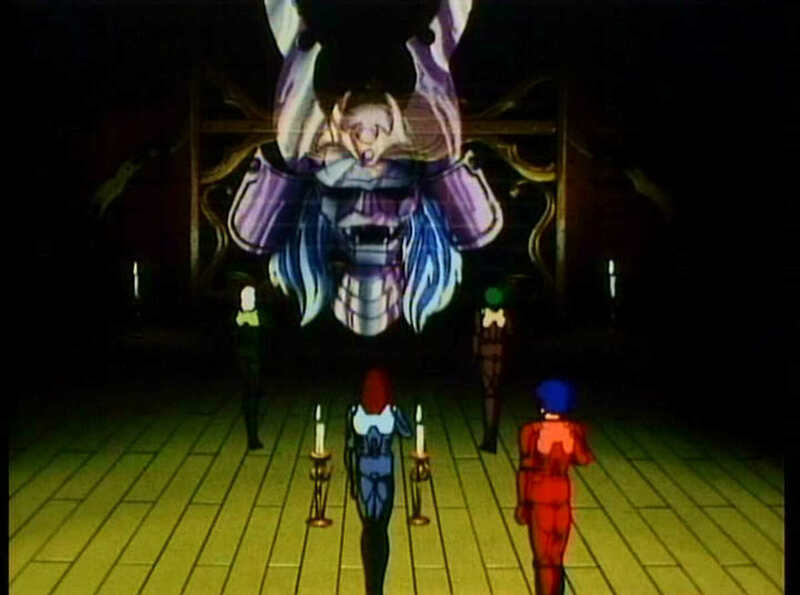 He sends Ryo and Rowen to the Neather Realm and helps Mia and Yuli find the Jewel of Life. FInally, after calling his armor forth to fight against his fellow warlords and the possessed Kayura, he absorbs her attack and uses all his strength to drive the evil spirit from Kayura. He then falls into the water dead. Anubis is voiced by Paul Dobson in the dub. Cale the Dark Warlord of Corruption (my personal fave) manipulates the cold, death and darkness. His main opponent was Sage of the Halo. 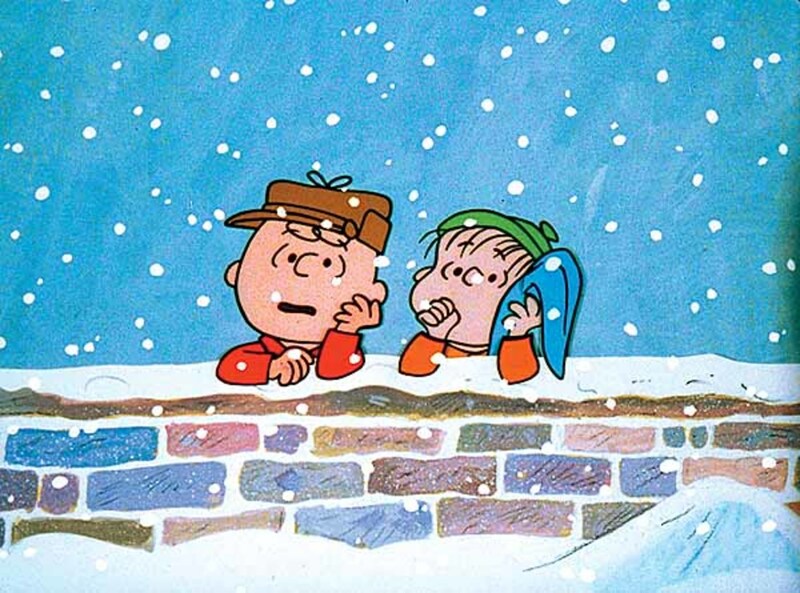 He has a cross shaped scar over his left eye. Cale was eventually dispatched to capture Sage and turn him to the dynasty. He plays with Sage's feelings by making him think that he and Sage were alike. He does this by taking control of dead deer and making them attack Sage. He then fought Sage and lost but it didn't matter for his mission was complete. Cale's corruption armor is infused with the virtue Obedience, and his weapons are a nodachi and claw like armor spikes. 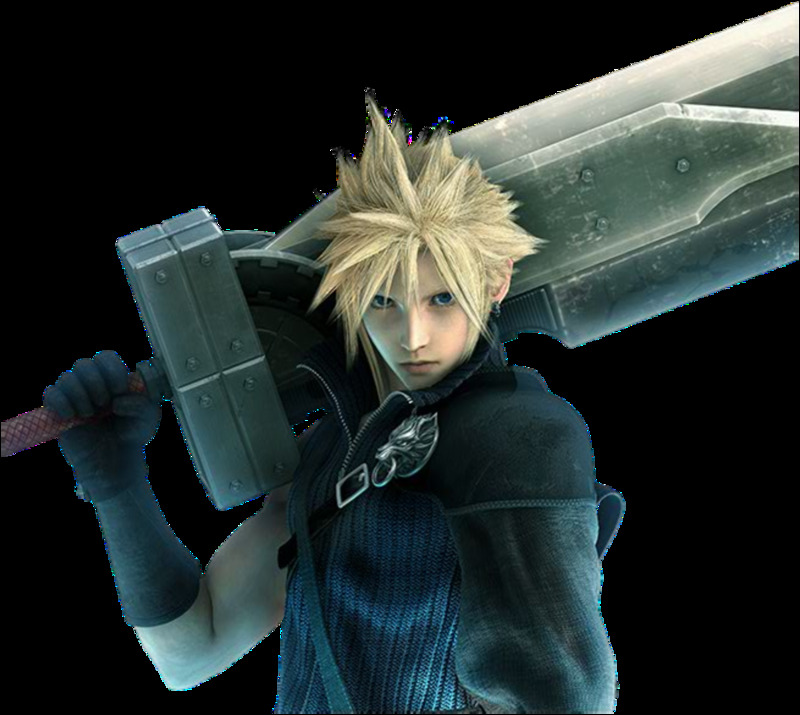 His attack is 'Black Lightning Flash', where he fires a number of black lasers from his sword. His armor is mostly grey in color with a red cape on the back. If Cale were to use his powers for good, he would be the eyes for people lost in the darkness. 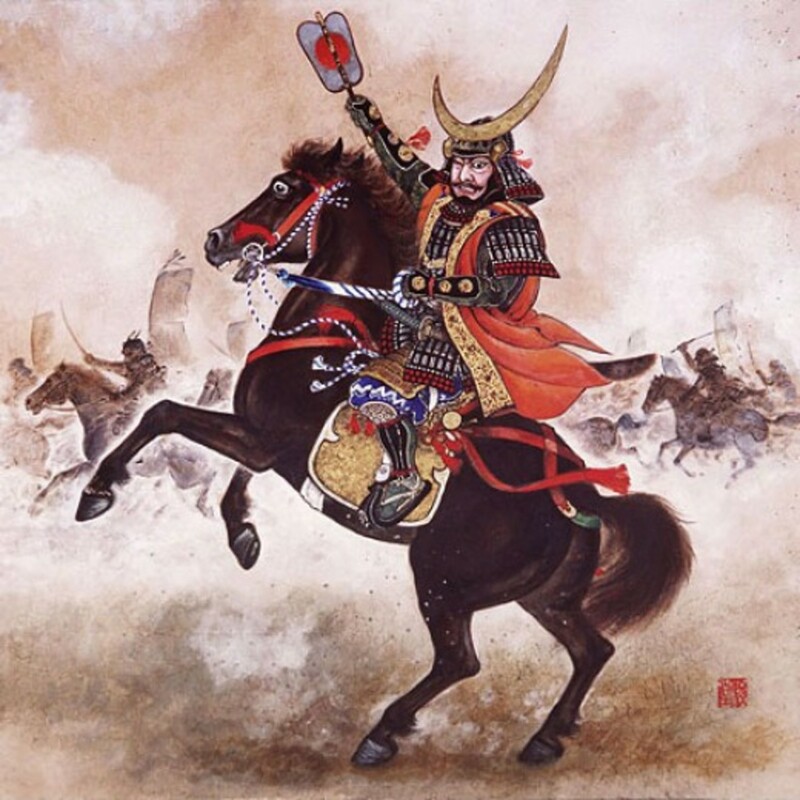 No matter how powerful his enemies may be, he will be persistent and continue to fight. Cale is voiced by Richard Newman. Dais the Dark Warlord of illusion, is the oldest of the four dark warlords. His armor of illusion is infused with the virtue Serenity. His attack is 'Web of Deception' which causes many spider like webs to appear and capture his opponents. His main opponent is Kento. When Anubis came back as the Ancient, Dais confronted him. There was a short battle inw hich Dais' helmet was knocked off and revealed his face to Mia and Yuli. Dais' armor is pink and has six kamas on the back resembling spider legs. He also has a flail on his right gauntlet and nunchaku on his left gauntlet. His armor allows him to spin webs and cast illusions. If Dais were to use his powers for good, he would be able to cast peaceful illusions. Dais is voiced by Matt Smith. Sekhmet the Dark Warlord of Venom is Cye's main opponent. HIs armor is infused with the virtue Piety and his armor season is Autumn. Sekhmet fights with 6 katanas, which excluded a deadly poison that can also cause blindness. His attack is 'Snake Fang Strike', in which he attaches his 6 swords and uses it like a whip. In battle, Sekhmet weilds six swords and is capable of moving his arms at speeds that allow him to create an illusion that he has six arms. Sekhmet's heritage is unknown. If Sekhmet were to use his powers for good, he would be able to heal injuries and illnesses. He would also be able to turn venom into medicine. 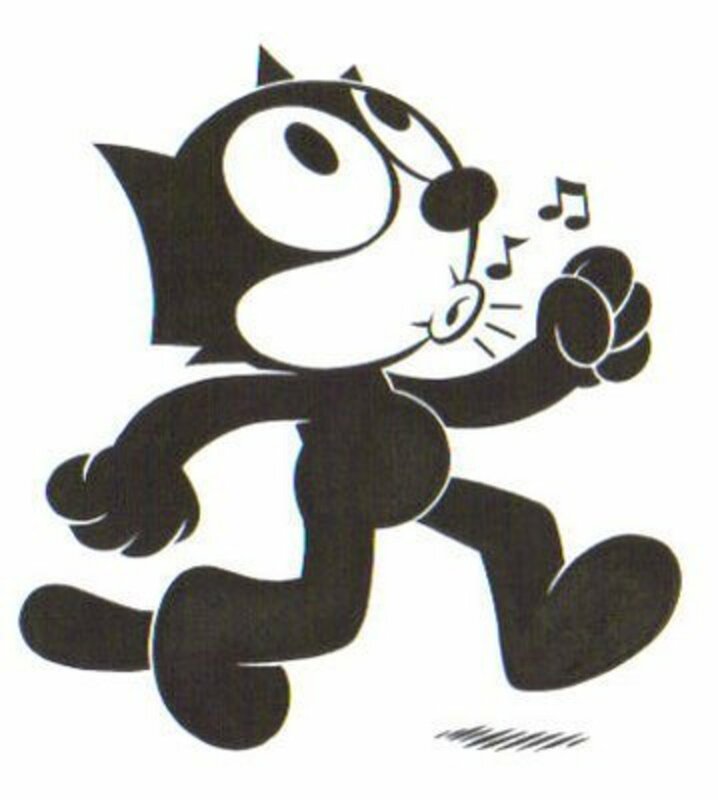 Sekhmet is voiced by Ward Perry. 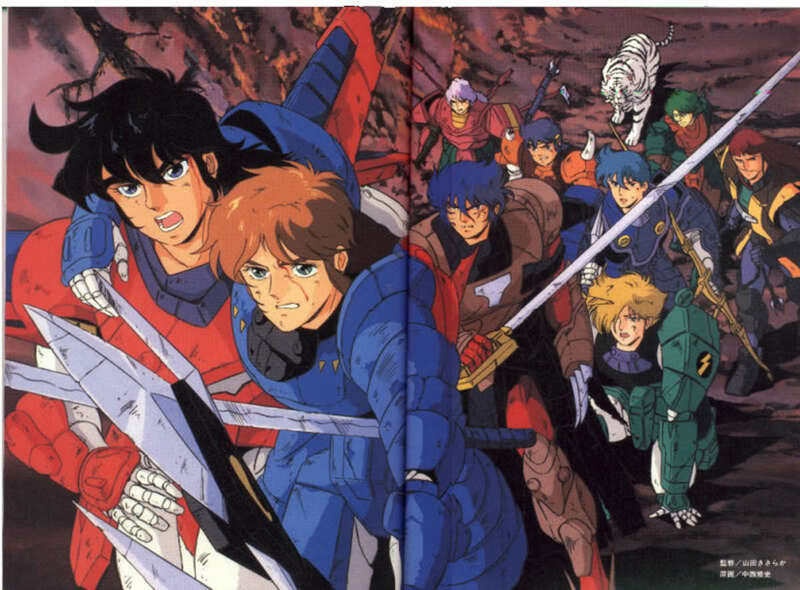 Mia Koji: The young student-teacher that meets the ronin warriors and helps them through the battle. The Ancient: The guy who created the armors, battled Talpa twice, turned Anubis to the good side, assists the ronins and weilds a staff. Yuli: A little kid that lost his parents when they were taken by Talpa. He is taken care of by Mia though out the series. Badamon: The leader of the Neather Spirits. White Blaze: Ryo's faithful white tiger. He's bigger then your average Siberian Tiger. Lady Kayura: The last of The Ancients, and was Talpa's main weapon against the ronins in the second part of the series. So thats it. I love this series to death and I refuse to let it die. I know some people who love this series as well. For anyone who has yet to watch it, you need to. I never saw anything about this series, except some fansites. Well, until next time! 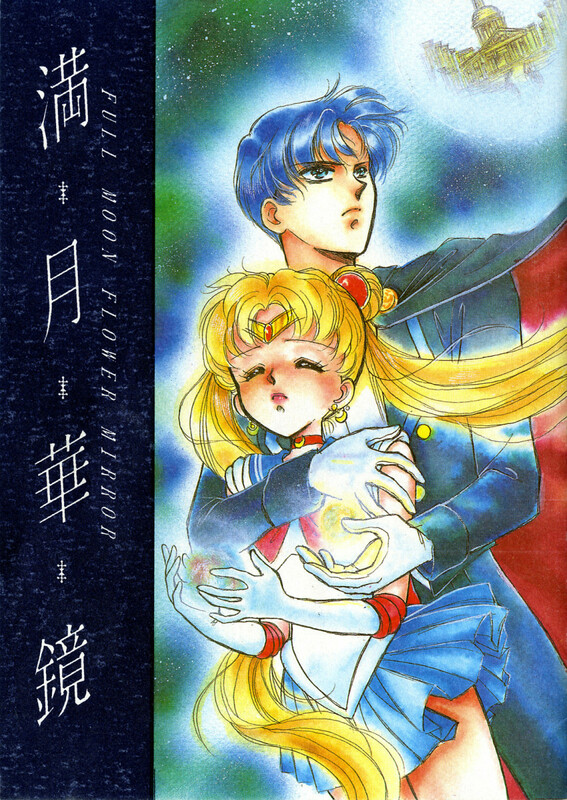 Does Sailor-Moon Crystal feel rushed, or is it just me?